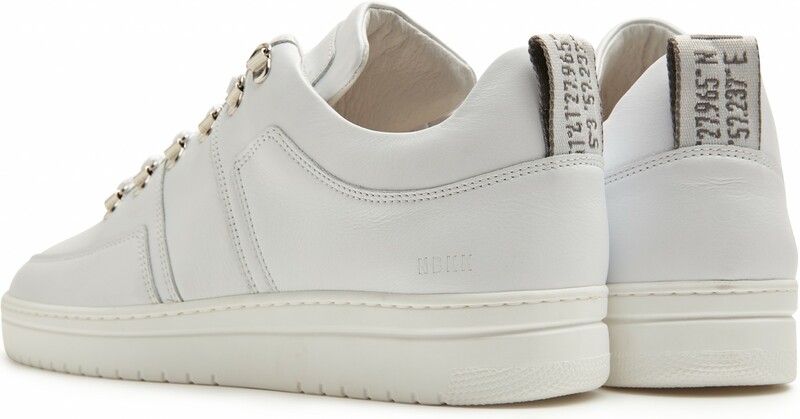 The white Yeye Maze trainer by Nubikk is a low white leather men’s trainer, made of high-grade calfskin with an extra comfortable lightweight sole. The Yeye Maze men's trainers are white trainers from Nubikk's all-time classic collection. 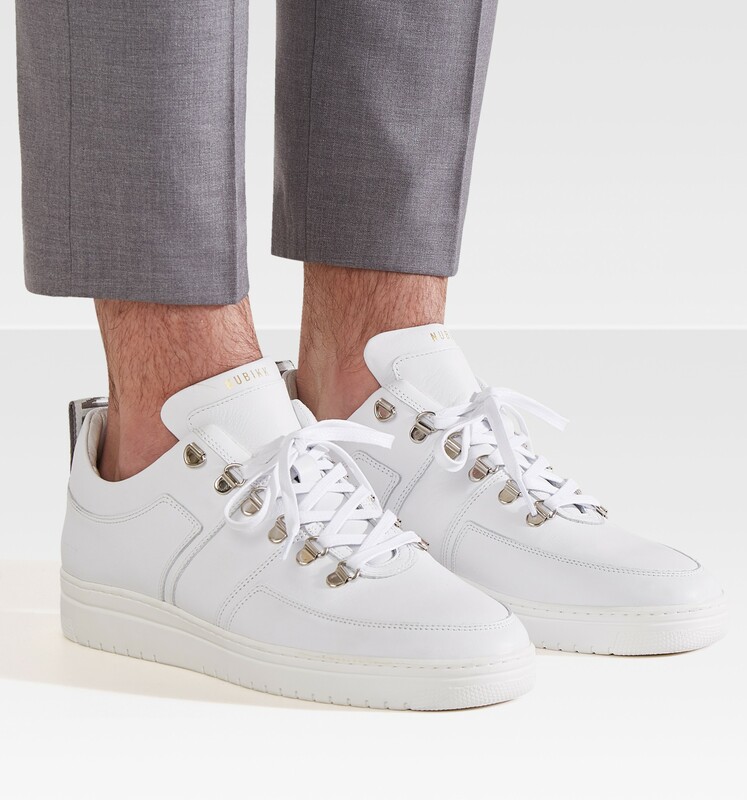 Striking on the white trainers are the double (water) tongue and the D-lace grommets. 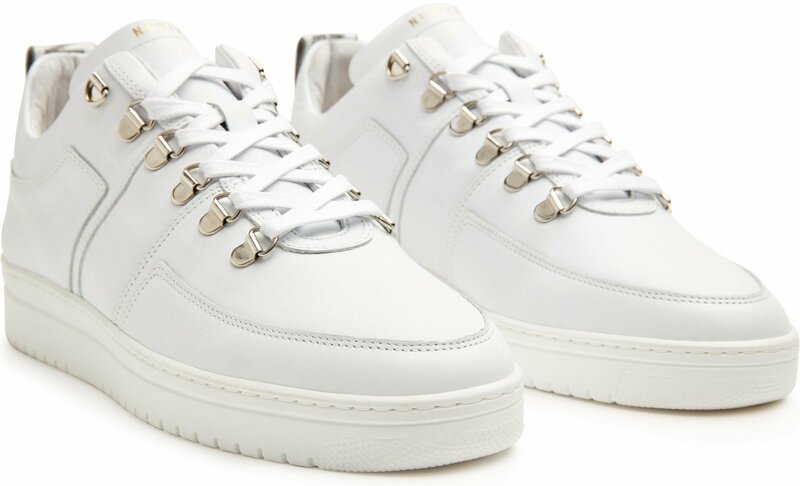 Several models from the Yeye collection contain golden accessories that give the trainers an extra luxurious appearance. The Yeye trainers are renewed every season and released in new color/material combinations. For the new spring/summer season, the Yeye Maze trainers have the recognizable Nubikk 'GPS tape' on the back and are equipped with a comfortable lightweight sole. The trainers are available in white and black leather, grey and taupe suede and camouflage nylon.